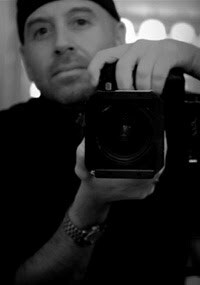 HOLLYWOOD – Doug Menuez, master photojournalist, was born in Texas. His father moved the family to the south side of Chicago to work for the community organizer, Saul Alinsky. They moved again to Long Island where his father continued working as an organizer. His mother counseled conscientious objectors to the Viet Nam war. Doug studied art and photography at the San Francisco Art Institute and San Francisco State University, graduating from SFSU with a bachelor’s degree in photojournalism. Upon graduating from SFSU in 1981, Menuez began an internship at The Washington Post. Menuez worked as a photojournalist from 1979 to the middle of the 1990’s and accepted editorial assignments for a variety of magazines and newspapers. These assignments included the 1984-85 Ethiopian famine, the Olympics, the Amazon, the World Series, presidential campaigns, Silicon Valley, and the AIDS crisis. He is an award-winning documentary, editorial, and advertising photographer whose work has been featured in publications such as Time, Newsweek, Life, People, Fortune, and USA Today as well as in ad campaigns for Coca-Cola, Chevrolet, Nikon, Hewlett-Packard, Northwest Airlines, Emirates Airlines, Bank of America, Siemens, Nokia and many other global brands. MORE.